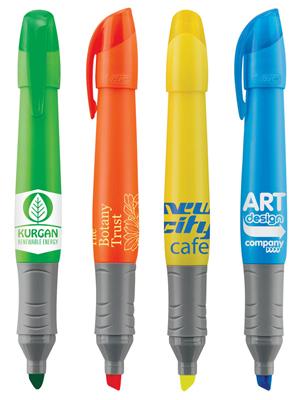 Pen/Ink Color: Choose from selection shown. Barrel Imprint Area: 1 1/2" x 1 1/4"
Cap Imprint Area: 1 3/8" x 1 1/4"
Packaging: Standard -18 lbs. (approx.) @ 300 per carton. Special packaging (click here).